Outfitted accommodations will include motor homes, travel trailers, 12×20 outfitter tent, or light tents during warmer season. Meals and beverages are provided on fully-guided/outfitted hunts. Quick breakfasts, packed lunches, and a hot meal at the end of the day. Snacks for your day-pack are not provided, neither are alcoholic beverages. Due to the law and liability, we will not provide alcoholic beverages. If you drink, please bring your alcohol with you. Your own alcohol shall only be consumed off our time and after the hunt is over at the end of the day. For those that own a camping trailer/motorhome and would like to bring it to camp to stay in, you are more than welcome to do so, but we cannot discount the price of “fully-guided/outfitted hunts. If you are interested in guided only please check the guide only prices under our “Rate Guide” tab. Successful fully-guided/outfitted hunters will have their game animal skinned. If the kill is to be mounted we will cape it for the taxidermist. If you decide to use our taxidermist we will take your cape to him after the hunt is over. The game meat will be quartered for your transport. It is suggested that you take your game meat home if you are successful. You will have one of two choices. One is to take the meat to an Arizona butcher, and after it is processed (usually about two weeks) you can have it shipped next day air. This can be costly, and you will need to set up a FedEx or UPS account, which is very easy to do on-line. Second option is to take the quartered game meat in a cooler with dry ice on the airplane as extra baggage. The typical airline fee for this is approximately $75 per cooler plus any additional overweight charges. It would be best for the hunter to decide how the game meat and trophy will be handled beforehand so arrangements can be made. All hunts are physically demanding due to the rugged terrain. We do not use horses or pack animals for hunting. Most of the areas we hunt are only accessible by foot. Most trophy animals do not live in easy access areas. These hunts sometimes require hiking many miles per day in remote, rocky and steep areas. Sometimes a typical day involves hiking to the hunting area and not returning to the camp until the sun goes down. We highly recommend conditioning yourself in order to hunt the entire time and for your own safety. There is nothing worse than getting sick from over-exertion or being sore for the duration of the hunt. Hiking does not mean walking on flat ground, but rather on an incline. Also, please break in your boots before you arrive. It is not always possible for a person to participate in a physically challenged hunt. We want the window of opportunity to be open for those who are not capable of completing such a strenuous hunt. There are other ways to hunt and we are more than willing to offer such ways to individuals who dream of or aspire to engage in such an awesome experience. Our policy is simple, as a hunter you are expected to meet with our guides the day before your hunt begins. If accommodations are needed for pickup at the airport, this will be arranged with advanced notice through the outfitting service. A nonrefundable deposit, 50% of the hunt cost, and a hunt contract is required upon booking a hunt. The remaining balance is due 30 days prior to the hunt. 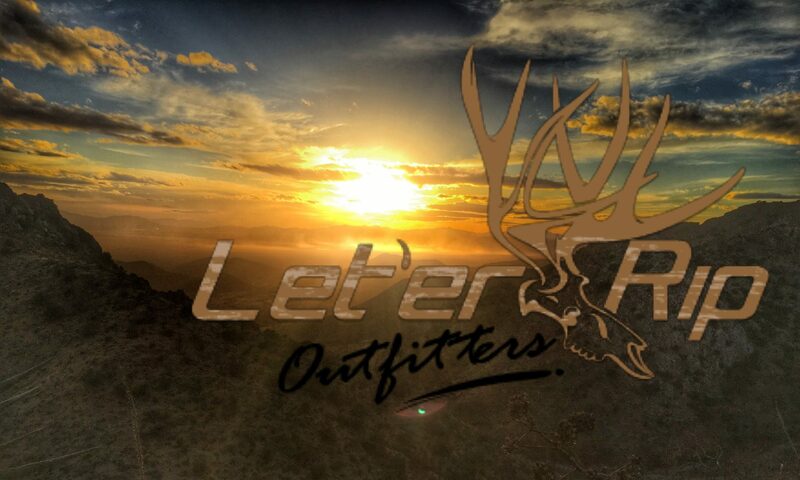 A hunt is not considered booked until the outfitter receives the deposit AND a signed hunt contract. Deposits can be transferred from one person to another. If the hunter chooses to place a deposit before the drawing to reserve a spot and does not draw, the deposit will be transferred to the next season or until the hunter draws a tag (no refunds). All hunts must be paid in full before the hunt begins. Our goal is to make sure all hunters get the animal they are aiming for. Unfortunately, this is not a guarantee, and there will be no refunds if your tag is not filled. Hunting conditions are not always a guarantee and the outfitter is not responsible for slowed hunting conditions due to weather. There will be no refund for unused days due to early tagging, late arrival or early departure. If a hunter tags out early they can leave if they provided their own transportation. Sometimes arrangements can be made for early departure if your hunt is in reasonable transportation range. If all hunters tag-out before the duration of the hunt is reached, the hunt is over. If by the end of the scheduled hunt you have not filled your tag, you can pay for additional days. Payment must be made prior to hunting the additional days. If your guide becomes ill, injured, or an unexpected emergency occurs, you might have to be paired with another hunter and his/her guide until other arrangements can be made to get another guide. Please be aware this might not always happen. ​ A hunter that kills the wrong animal type for his tag or exceeds the limit, even by mistake, will have to be reported to the authorities and the hunt is immediately over. If the hunter cancels a hunt, the deposit will NOT be refunded. However, it can be applied towards any vacant hunt of equal or greater value. The balance due will be adjusted if there is a difference in hunt fees. We will also be charging a $250.00 rescheduling fee if this happens. This rescheduling can only be done one time. If the hunter chooses to apply the deposit to one of these hunts, the rescheduled hunt date must be within one year of the original hunt date. If a 2 on1 partner cancels, he loses his deposit and the remaining hunter will be required to pay the 1 on 1 rate. Because of our policy, we suggested you look into or invest in cancellation/travel insurance. Please visit CSA Travel Protection for further information. It is unethical to return to an outfitters spots or to tell others about their locations. We do not allow the use of GPS devices, and do not see the need to mark spots seeing as how a guide will be with you for a majority of your hunting experience while in the “field”. Let’er Rip Outfitters appreciates your cooperation with this request.